FOR over 100 years, Connolly’s RED MILLS has never stopped building on our reputation for converting fresh, natural ingredients into the most trusted feed for peak performance right around the world. Since Michael Connolly bought the famous mill in Goresbridge, County Kilkenny, Connolly’s RED MILLS has used those core values to grow from a local mill in South-East Ireland, to a global brand, available in 73 countries around the world. 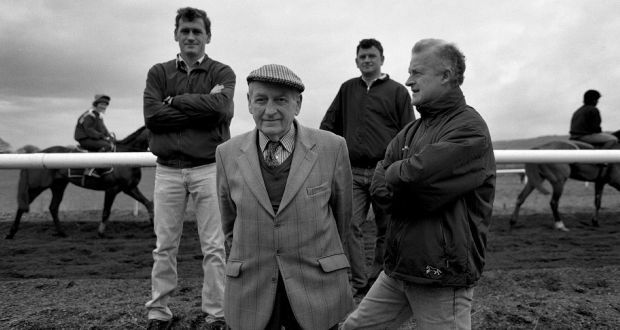 Innovation by five generations of the Connolly family has built a name that never stands still, tried and trusted – from our farm to your winning post. A brand that feeds champions from the UK and Ireland, to Continental Europe, USA, Asia and the Middle East. Today, Connolly’s RED MILLS houses one of the most advanced testing laboratories for ingredient quality, and Naturally Occurring Prohibited Substances. We have developed exclusive, groundbreaking technology to build a Nutrient Fresh Management System, key to its exporting model. Connolly’s RED MILLS has grown into a leading name in animal feeds and agri services, built a state-of-the-art pet food factory, a 3,000 sq. metre country living living superstore, and taken over Foran Equine, a market leader in equine healthcare products. In 2018 we fed 97 group and grade winners in 12 countries. We develop and manufacture our products on site at our facilities in Goresbridge, Ireland with 50% of the grain used in all feeds grown locally. We have never lost touch with our core values, nor with the County Kilkenny community that helped found RED MILLS with us, and we are proud to be rooted in rural Ireland. Nestled in the scenic farm country of County Kilkenny in South-East Ireland, Connolly’s RED MILLS has been the home of the Connolly family business since 1908. Today, we are one of the most trusted global names in high performance animal feed, pet food and agri products, but our origins are as humble as a fresh-baked loaf. In 1800s Bagenalstown, County Carlow, the Connollys were hit head on by the repeal of Corn Laws. Against the backdrop of the Great Famine, a potato blight starving the nation of its most prominent crop – a tonne of grain dropped to 1/20th of its previous value. Like thousands of others, the Connollys fled Ireland for America. 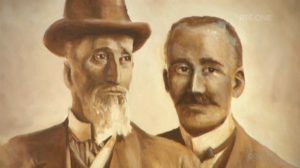 20 years later in 1866, Michael Connolly, who was now 36, returned to inherit the family’s bakery business. He had emigrated to Long Island in New York in the 1840s, working as a head lad for a French horse trainer based there, and while he had been away the Great Famine and economic turmoil had changed Ireland. By now, the flour mill industry had consolidated to the ports of Dublin, Cork, Waterford and Limerick, and rural mills were all but closed. But Michael saw potential in a mill on the river Barrow, built in 1758 by Englishman John Handy. In 1908 he bought that mill in Goresbridge, restarting it as William Connolly & Sons Ltd – named after his youngest son, William. That is the foundation of the ethos of Connolly’s RED MILLS. Every generation works as hard as they can, not for themselves, but to provide a better business for the next generation. When William took over, there were four other mills in the area, all producing similar products for the local farming community. To make Connolly’s stand out, he painted the roof red – unwittingly creating a brand icon, now known across the globe as RED MILLS. William steered the company through two world wars, the Depression, and Foot and Mouth Disease in 1941, handing over to his son Liam at the birth of the technology boom, which he embraced. Connecting to the national electricity grid, investing in the first pellet mill, the first computerised payment system, and the first high temperature extrusion for fish and pet food, all happened under Liam. In 1963, local racehorse trainer Paddy Mullins came to the Connollys for advice on a horse that wouldn’t eat up. They didn’t make horse feed, but Liam decided to work on it. He made a formula to encompass all the nutritional requirements of the horse, then cooked it to make it more appetising and digestible. He came up with a feed that Mullins heralded as the turning point in the horse’s development and he went on to win the 1966 Powers Gold Cup and the 1967 Irish Grand National. That horse was Vulpine and his idiosyncrasies launched a new arm of the Connolly family business that has grown to feed 97 Group 1 winners in 12 countries in 2018. The factory was very badly damaged by fire in 1992, and the rebuilding process brought opportunities for further modernisation and expansion of our ranges of equine, pet and agri feeds. By 1997, our success had encouraged us to introduce Connolly’s RED MILLS into the UK and USA – and also to acquire two smaller companies in Ireland – E Morrin & Sons Ltd and Rothwell Grain & Seed Ltd.
And just two years later, our new state-of-the-art pet food manufacturing facility in Gowran opened – just five kilometres from the original RED MILLS site in County Kilkenny. We entered the Asian market in 2006 with exports to Japan, leading to a world first in animal feed innovation with the arrival of our exclusive Nutrient Fresh Management System manufacturing equipment. We are now proud to export to seven Asian markets, in 2012 adding another world first as Connolly’s RED MILLS became the first feed company to secure a license to import horse feed into mainland China. Today, the RED MILLS brand is available in 73 countries around the world, and we continue to build on our reputation for converting fresh, natural ingredients into the most trusted feed for peak performance right around the world. Our on-site testing laboratories, quality test every ingredient upon arrival, and monitor for Naturally Occurring Prohibited Substances through every step of the feed-making process, using the same technology employed for testing athletes at the Olympics. In 2012 we took over Foran Equine, a market leader in equine healthcare products worldwide, further developing our precision nutrition ethos. In 2016, we opened our first retail store at Cillin Hill, Kilkenny, servicing our customers’ country lifestyle and animal nutrition needs.